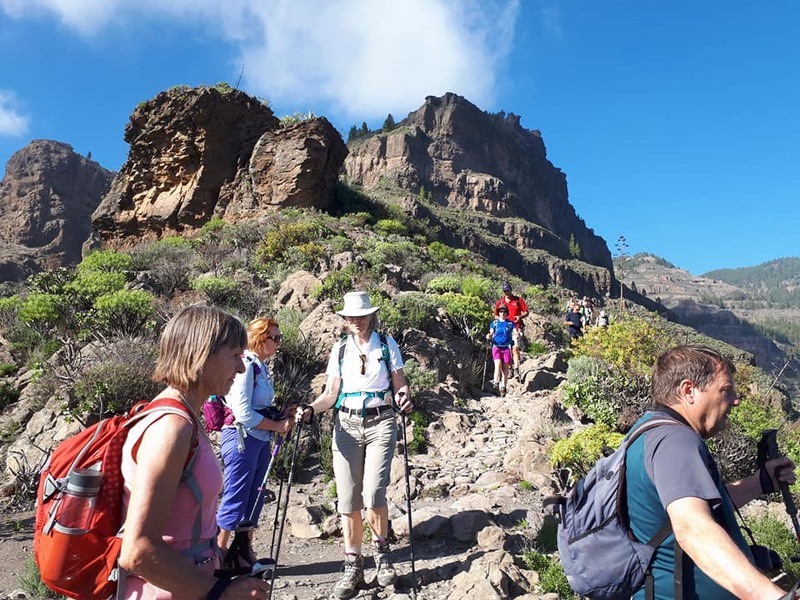 Gran Canaria is described as a beautiful natural environment and the walking is superb - a continent in miniature. 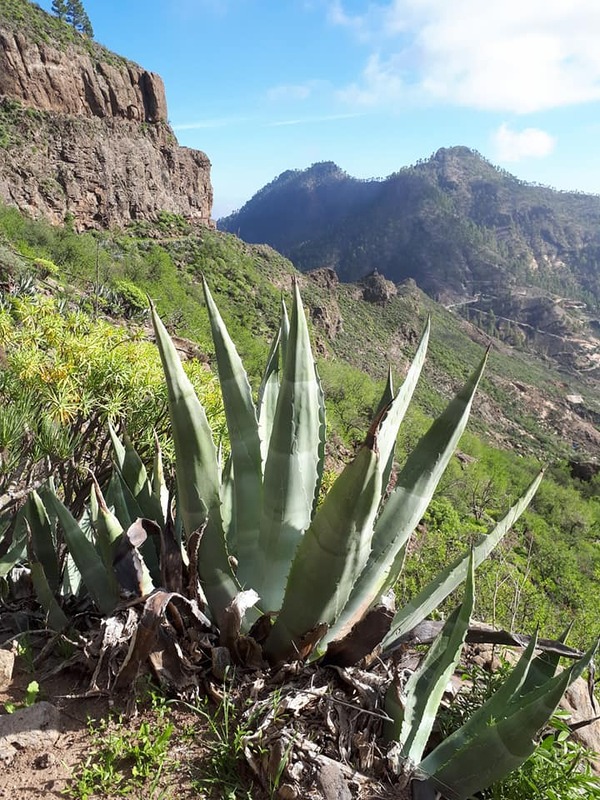 Gran Canaria is an island in the Canaries archipelago, a beautiful natural environment featuring landscapes of mountains, desert and lush green lands, all within walking distance of each other! Nearly half of the island is protected from development so only by walking is it possible to discover the true delights of the island and its people. 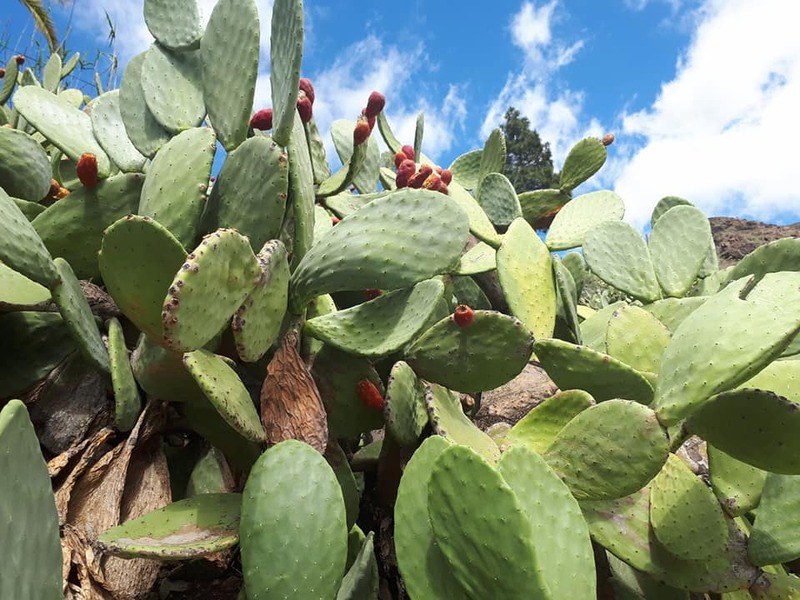 Much of our walking is in the Cumbre, the central mountain range with dramatic landscapes and remote cave villages, as well as in the fertile north where we venture into deep valleys with lush vegetation. In spring, the flowers are plentiful and much of the flora is only found on the island due to its unique climate. 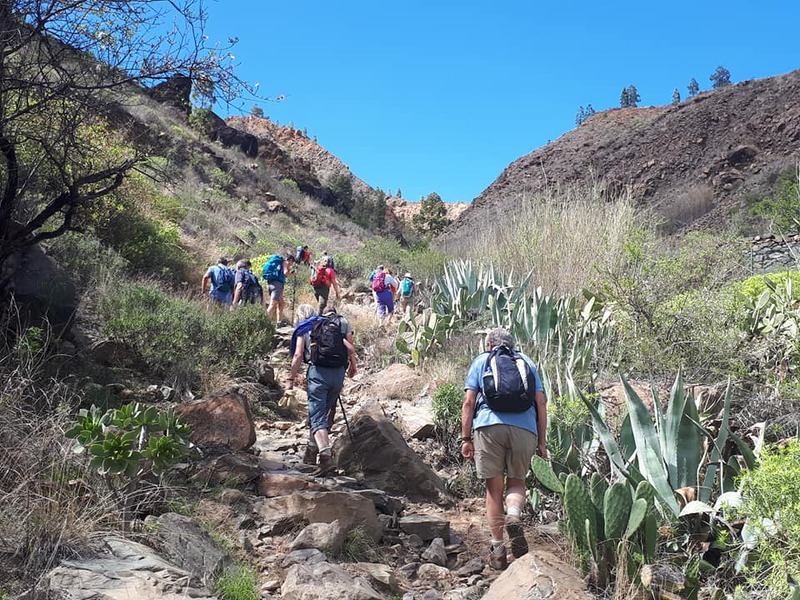 A superbly located hotel with exceptional facilities, delicious traditional island foods, a relaxed social approach, and our guided walking program bring you the best of walking in the sunshine of a Gran Canaria spring. Join us and experience this diverse and beautiful part of the world. We walk five days and have a free day to do as you please from our center base in the Village of San Bartoleme in the heart of the island. We are based in the Village of San Bartolome located in the quiet heart of this captivating island where we stay at the Hotel Rural Paradise Las Tirajanas. Sheltered by mountain ranges and winding green valleys, this four star, colonial style hotel offers a unique holiday setting, encircled by nature at its purest. Rooms are situated to ensure views of both sunrise and sunset! Hotel facilities include several lounges offering a place to relax both inside and out. There is a swimming pool and sun terrace along with a sauna, spa and gym that can be used at any time. Breakfast and dinner are served in the hotel’s restaurant, Santiago el Granda. The four star restaurant serves international buffets, vegetarian meals, and traditional Canary cuisine. Typical dishes like ‘ropa vieja’ (a variety of meat), ‘carajacas’ (Iberian meat with potatoes and noodles), and specialties such as fried cheese with tomato jam, all offer a unique and regional touch. Lunches are packed and typically consist of a baguette and fruit. Packed lunches on the days we walk. Three course dinners for all seven (7) nights. Transfers between the hotel and the airport. This is a land only holiday so your flights to and from Gran Canaria are not included. We are happy to assist you with providing flight information from your local airport. Lunch on your free day. 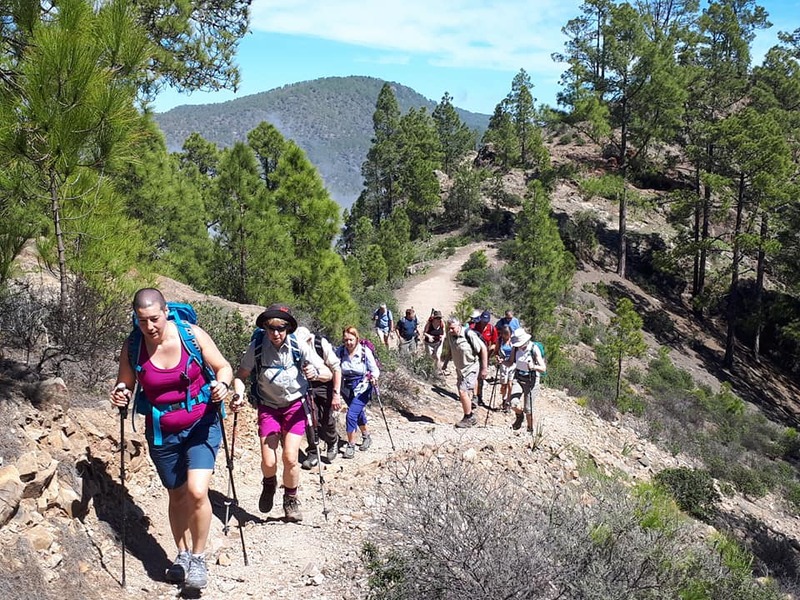 The Gran Canaria walking program is designed for experienced walkers on a mixture of terrains. The mountains are mostly composed of granite giving rise to dramatic scenery. Toothy ridges, high mountain cliffs, and deep valleys provide an excellent source for superb walks. The walking grade is rated moderate to hard with strenuous stretches. All paths are well-defined mountainous paths and tracks which take us over volcanic rocks and through pine forests. The walks may consist of sections of short and/or steep ascents and descents but on good trails with no exposed sections. All walks reward you with wonderful panoramas out to the coast and on most days you will see Mt. Teide on Tenerife as it towers above the horizon. Walks are both circular and linear to give you the best walking routes. Circular walk around the San Bartolome area (10 miles, 1968f/600m ascent/descent). Alta Vista ridge walk (7 miles, 1968f/600m ascent/descent). 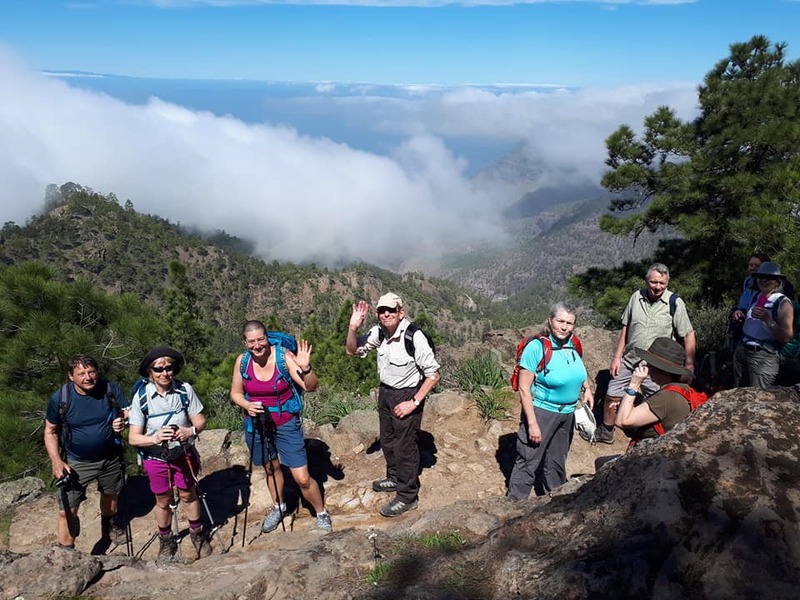 A classic linear walk starting at Cruz de Tejeda and finishing at the hotel with an option of hiking to the highest point on the island for magnificent views (13 miles, 2625-4364f/800-1330m ascent/descent). Roque Nublo (10 miles, 2625f/800m ascent/descent). 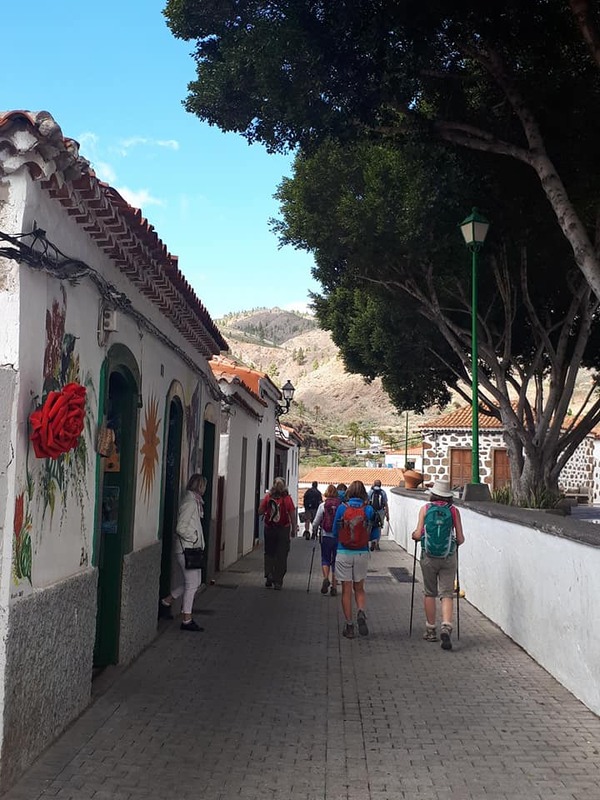 Circular walk from the hotel south to Santa Lucia, Fataga and back to the hotel taking in rural Gran Canaria (7 miles, 2300f/700m ascent/descent). Gran Canaria is the third largest of the Canary Islands and is the most southerly of the seven islands that make up the Canaries Archipelago. It lies in the Atlantic Ocean 135 miles off the border between Morocco and the Western Sahara and 700 miles from the Iberian Peninsula. The highest point on Gran Canaria is Pico de las Nieves at 6394f/1949m. Las Palmas is the capital, and is located in the northern part of the island. San Bartolome de Tirajana is nestled in the mountains in the southeastern part of the island in the Las Palmas province. Getting to the Gran Canaria holiday. The price for this holiday is land only and does not include flights from the United States (US) to Gran Canaria. Transfers from the airport are arranged in a group and if you arrive outside that time, there may be a supplemental charge to the transfer rate. International flights are frequent and it is typical to find a one stop flight from the United States (depending on your departure airport) via Madrid or other major European cities. Airfare may range between $600 - $1,500 round trip between the US and Gran Canaria, depending on where your flight originates, the time of year and when you make your booking. Budget airlines from several European capitals may offer a better price if you are adding onto a trip to other European countries. Please note that the published holiday dates are the dates you arrive in your holiday area and not when you leave the United States. Extra days or nights. If you are interested in adding any extra days and nights to your holiday to explore more of the area, and you would like our help, please let us know. Passport and Visa Requirements for U.S. Citizens. Passports should be valid for at least six (6) months beyond the intended date of departure; three (3) months beyond departure date is mandatory. It is further recommended that your passport have at sufficient number of blank pages. Non-EU visitors must obtain a stamp in their passport upon initial entry into a Schengen country and upon exit. The border control official will stamp your passport, but at times some borders are unstaffed and in this case you will need to request a stamp in your passport. Consult the U.S. Department of State’s website for the most current country requirements. No Visa is required for stays up to 90 days. Weather. Gran Canaria temperatures in January average 64 degrees Farenheit (18C) and early Spring temperatures average a few degrees higher. The average nightly temperatures range in the low 60s (16C). Days will have a mix of sun and clouds and some high level mist and we allways are prepared for a shower or two. Official language. Spanish is the official language. Travel Insurance. Unexpected events before or during a trip may leave you with cancelled plans, delayed flights and missed connections, lost luggage, or unforeseen medical expenses. Therefore, we strongly recommend obtaining Travel Insurance to protect your travel investment. This will help protect you in case you have cancelled plans due to personal reasons, damaged or lost luggage or unforeseen medical expenses. Companies that provide comprehensive policies include Travel Guard, Travel Insured International, Allianz, Travelex to name a few.